The Perry Sigma 36 Hyperbaric Chamber is one of the newest developments in hyperbaric treatment care available on the market today. 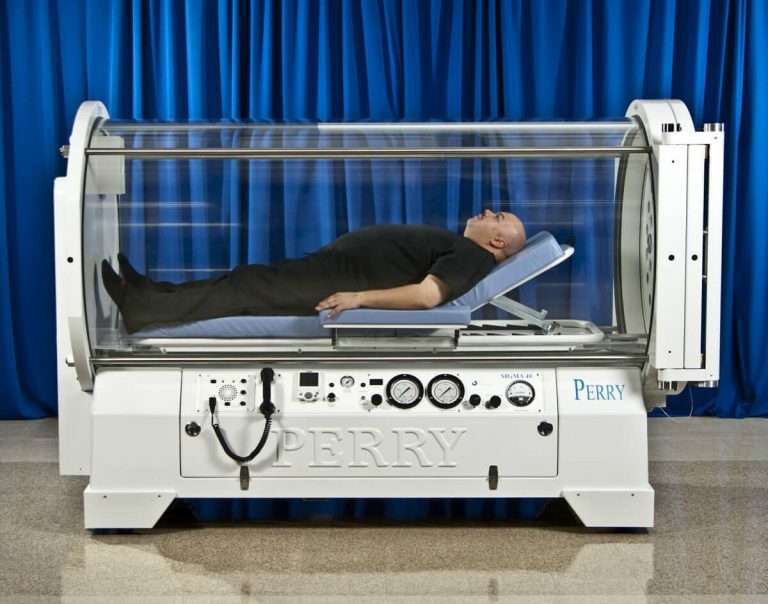 Perry has been on the leading edge of technological advancements and development in hyperbaric treatment and continues to set the gold standard in the industry today. With their high level of excellence in product development and performance, they pave the way for future advancements in the hyperbaric medical technology and research. On top of this, Perry models a professionalism and ethical practice in all business matters that exemplifies the internal drive of the company to continually strive for enhanced customer service and satisfaction. The feature-rich Perry Sigma 36 Hyperbaric Chamber ensures that customers will receive only the best care with the most affordable and top-of-the-line hyperbaric chamber equipment available today. With customizable options and new and improved refinements to the overall system, customers are guaranteed the very best hyperbaric treatment experience possible. Interested in learning more about the Perry Sigma 36 Hyperbaric Chamber or the other new and used hyperbaric systems that we sell? Fill out the contact form below or contact us today to speak with a knowledgeable customer service associate.